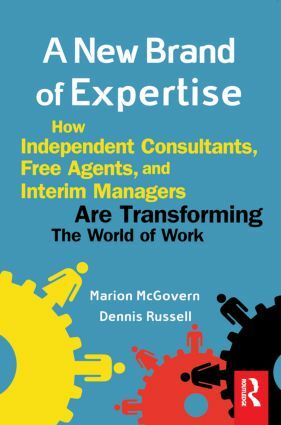 A New Brand of Expertise uniquely clarifies the dynamics of the red-hot "free agent" workplace and teaches the new skills and employment strategies independent professionals must master to succeed. In today's quick and turbulent markets, companies often need specialized professional talent on an interim basis to solve specific business problems, a major trend creating huge opportunities and an alternative career track for many professionals. A New Brand of Expertise clarifies for independent professionals why companies need interim talent and how to develop a skill set that matches market needs. Readers will learn effective methods for uniquely marketing and branding themselves in order to develop a sustainable and successful free agent career. A new workplace; Why companies use independent talent; Why individuals choose free agency; But what do they really do; Calculating the risk; Marketing your brand; Selling the concept and yourself; Fees in the new world; Contractual issues; The intermediaries; The internet intermediaries; Doing the work; Free agent self portraits; The future of work.